What is the relationship between utopia and reality? And what role does space—broadly defined —play in answering that question? These are the core subjects addressed in Tijana Vujošević’s intriguing new study of modernist expressions in architecture in 1920s and 1930s Soviet Russia. Her study is a welcome addition to a scholarly literature that tends to neglect architecture in favour of focusing on literature and the visual arts. With her fresh approach, Vujošević demonstrates that ideas about space, and about how it can be used to recreate society, helped to define the New Soviet Person, first as a worker and then, as the 1920s gave way to the socialist-realist dominated 1930s, as a whole person. The book opens quite ambitiously with a discussion of the cosmist movement, which emerged in Russia in the early twentieth century. Cosmists combined aspects of Russian Orthodox belief with ideas from both Eastern and Western philosophies to produce a theory of the origin and evolution of the universe, as well as of the position of humanity in it. Konstantin Tsiolkovsky’s ideas about the will of the universe are central to the chapter. He suggested that both humans and cosmic will are evolving towards perfection—a notion that fits well with communist narratives about Soviet development. After noting that key figures of the cosmist movement, such as Nikolai Fedorov and Leonid Krasin, provided visualizations of concrete material environments in their writings, Vujošević goes on to discuss the aviation mania that swept through Russia in the 1910s, which continued well into the pre-World War II era. As she explains, “The appearance of aeroplanes and the fantastic launch of man into the skies announced change, the promise that social tyranny, closely linked to technological backwardness, would be destroyed” (18). Flight had the potential to transform the mundane into something otherworldly. To explore this notion in detail, Vujošević discusses, for example, Vladimir Tatlin’s project to make mass-produced portable wings and the Soviet interest in record-breaking flights in the 1930s. She rightly concludes that this idea was long-lived, since we can still see traces of it in the attention given to Soviet cosmonauts in the 1960s. Vujošević’s focus is more terrestrial in the next chapter, which begins with Aleksei Gastev’s experiments in biomechanics and space. Through his Central Institute of Labour, Gastev trained workers to move more precisely and to time their actions. His ideas found favour at a moment when the Soviet government was desperate to create a proletarian workforce that could serve as a backbone for its reimagined society. Vujošević describes how Gastev’s ideas spilled over into the theatrical world (she ignores the most obvious literary example, Iuri Olesha’s novel Envy (1927), where one of the main characters seeks to turn himself into a machine). In the theatre world, the famed director Vsevolod Meyerhold used biomechanical exercises to train actors. His 1928 production of “The Magnanimous Cuckold” featured revolutionary sets and costumes by Liubov Popova, which were, in Vujošević’s words, meant “to help define theatre as a collective, anonymous endeavour, rather than an ensemble of individual actors with individual psychologies” (55). In other words, Popova’s contributions, like Gastev’s experiments, emphasized the collective rather than individualism. Similar efforts to make the home lives of workers more efficient and rational were developed by Stanislav Strumilin, whose studies of family life coincided with attempts by architects to make homes into sites of labour. This is the subject of the book’s next chapter. Here, the author expands on the work of art historian Christina Kiaer—although she only mentions Kiaer in her notes, and probably should have engaged more openly with the latter’s work. Objects are clearly central to this world, particularly since the small size of Soviet living spaces meant that household items, such as beds, often had to serve more than one purpose. Vujošević connects the small size of living spaces with 1920s re-imaginings of marriage and family life in, for instance, the promotion of communal dining. Public spaces—notably bathhouses—are the subject of Chapter Four. These were spaces that promoted hygiene and served to define the connection between the state and individual bodies. In Vujošević’s words, “The banya was intended to provide new forms of socialization: collective rituals of self-care linked to inherent qualities of industrial production, such as efficiency and precision” (100). Users were also meant to be impressed by new machines that applied assembly-line techniques to the doing of laundry at the same sites. However, because so few of the planned buildings were ever constructed, the bathhouses remained a kind of socialist-realist fantasy. Nonetheless, Vujošević is able to argue that the well-publicized plans for the buildings, even if they did not come to fruition, were successful in shifting ideas about proletarian agency. Everyday workers were now depicted as slightly less consumed by their labour; instead, they were meant to spend more time enjoying the fruits of their work. This new notion of the good life, which often clashed with the conditions of day-to-day reality, is the focus of Vujošević’s fifth chapter. Here, she explores the obschestvennitsa (“socially active wives”) movement that emerged in the mid-1930s. I found parts of this chapter problematic, because the author was not thorough enough in her background research. For instance, she relied on Rebecca Balmas Neary’s doctoral dissertation, but did not consider Elena Shulman’s book on the movement. Moreover, had Vujošević read Lynne Attwood’s book on Soviet women’s magazines, she would have realized that the messages she sees as given exclusively to this group were, in fact, pervasive and presented to all Soviet women. With that said, Vujošević’s work does show that ideas about beauty and design did come to be emphasized in new ways in this decade. Periodical literature across the spectrum suddenly emphasized decorating one’s living spaces, with significant attention being given to colour, lighting, and objects, such as plants and flowers. Ironically, as Vujošević points out, these articles actually revealed the material scarcities of the era, because women were being advised to make many items themselves—work that would have been unnecessary had such items been abundant in the Soviet marketplace. 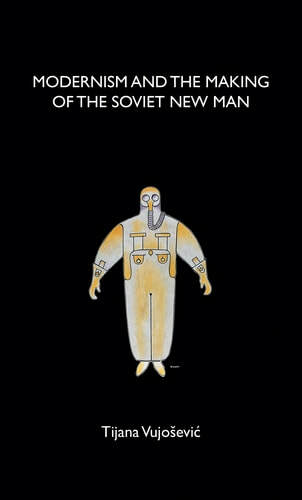 Modernism and the Making of the Soviet New Man ends with a strong chapter on the Moscow metro, which was a key project of the Second Five-Year Plan, which lasted from 1933 to 1938. The metro not only transformed the physical landscape of the city, but the lives of its builders. The metro was the ultimate symbol of modernity: the marble used in its stations came from across the country and signified material abundance; its shining surfaces reflected the cultural campaign to spread cleanliness into all Soviet homes; and its use of electricity demonstrated how technology was making life more aesthetically pleasing. As such, the metro was “an extension of the avant-garde project dedicated to bringing art to life ” (144), and thus serves as the perfect example of Evgeny Dobrenko and Boris Groys’ interpretations of Stalinism. All in all, Tijana Vujošević’s book is well worth reading. Her case studies demonstrate time and again how images and representations from the art world clearly pervaded all social and economic relations in the early Soviet period. Alison Rowley is a Professor in the Department of History at Concordia University. Her research often focuses on Russian visual and material culture. Elena Shulman, Stalinism on the Frontier of Empire: Women and State Formation in the Soviet Far East (New York: Cambridge University Press, 2008). Lynne Attwood, Creating the New Soviet Woman: Women’s Magazines as Engineers of Female Identity, 1922–53 (New York and London: Palgrave Macmillan, 1999). See Evgeny Dobrenko, Political Economy of Socialist Realism (New Haven, CT: Yale University Press, 2007); and Boris Groys, The Total Art of Stalinism (Princeton, NJ: Princeton University Press, 1992).